YOLO, and this guy knows how to do it right. It’s not every day you meet an elementary school teacher who drives a brand new BMW i8. But Toronto teacher Tony Volpe isn’t an “every day” kind of guy. Nor is his i8 an “every day” kind of i8 (if there is such a thing). No, 47-year-old Volpe doesn’t do “every day.” Not in the sense of just passing through life like it’s a boring, repeating, Groundhog-Day-esque cycle. 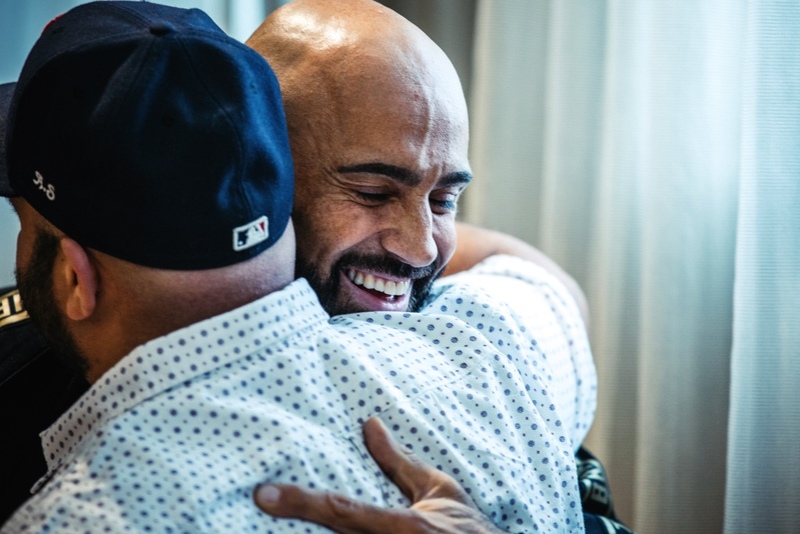 Not since an extremely dangerous and rare throat infection (a relatively new strain of streptococcus) nearly shut down his every day last year. Since then, he goes through each day with the appreciation and wonder of a man who almost lost it all and then, as if by miracle, didn’t. Today, all healed from the strange and sudden illness that threatened his existence and landed him in the ICU for days before an operation saved his life, he relishes each and every day like he’ll never get another. And what does the car of a man who lives such a way look like? Chrome gold, of course, and fast. Very fast. 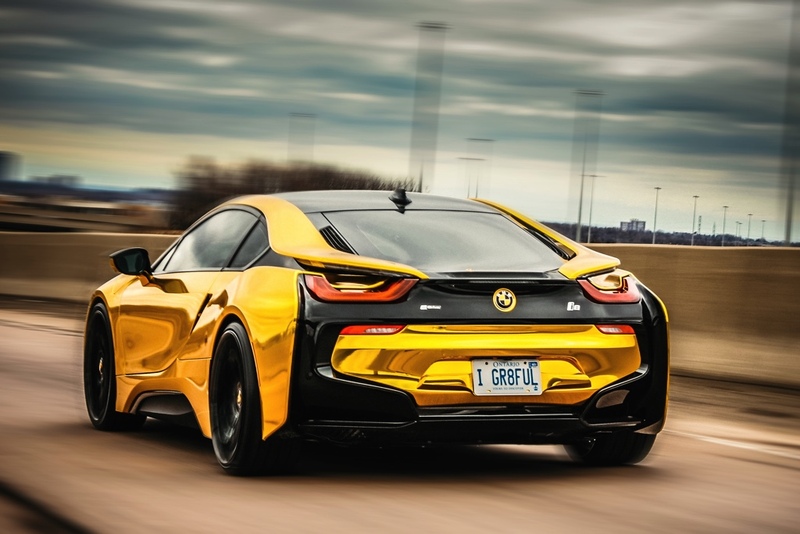 After months of recovery following the procedure that ultimately cleared his bill of health, Volpe set out to live the life he’d always wanted to live and do the things he’d always wanted to do, like own season’s tickets to the Toronto Raptors—he purchased three tickets last season, which he and his friends enjoyed—and buy a supercar. 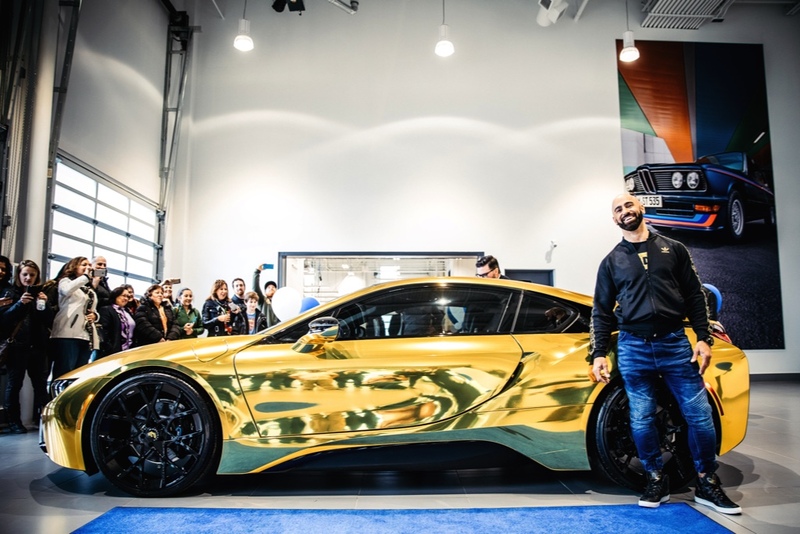 Volpe, three of his best friends and his 18-year-old nephew all shared the responsibility (more like pleasure) of helping to select and customize his new whip. 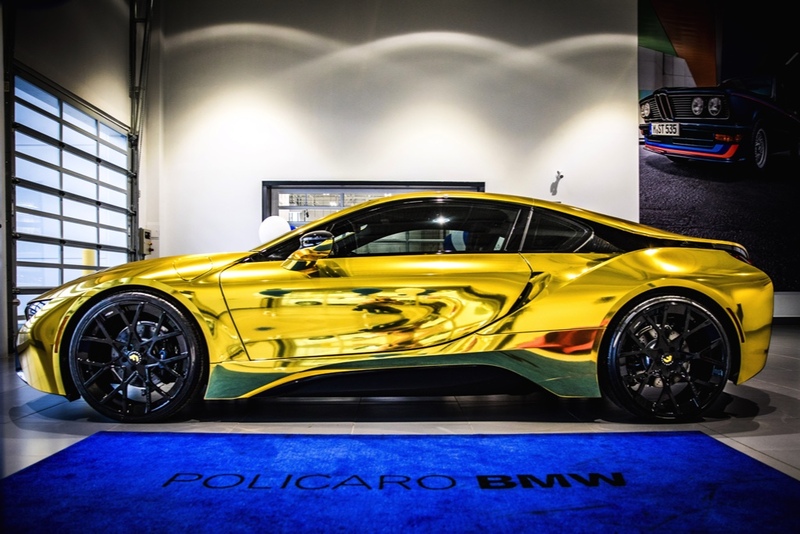 After they landed on the 2017 BMW i8 from Policaro BMW, they had to decide on colour—they knew they wanted to go big here. The wrap was brought to life by the skilled hands at Sekanskin—they even modified the logos on the front, back and steering wheel to match. Volpe also upgraded to new Forgiato rims with a floating logo and bright blue racing seat belts, just to make it even more unique. 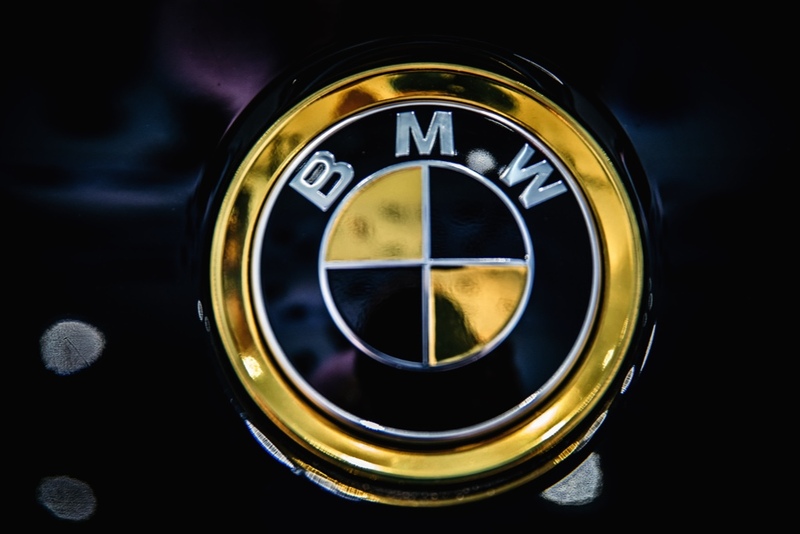 As for how he feels about it, he admits that it was a little shocking at first and there was a brief moment of “OMG, what have I done?” but once he got behind the wheel, that feeling disappeared in the rearview mirror, and fast. Policaro BMW recently had Volpe out to Canadian Tire Motorsport Park to try his prized BMW on the track. Let’s just say it went well. Tony, you’re an inspiration, a wonderful role model for your students, friends and family, and not a terrible driver either. 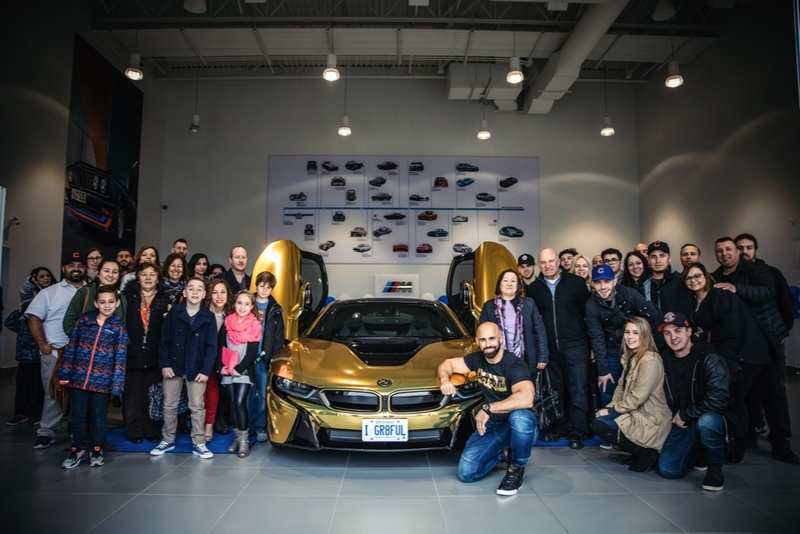 Thank you for sharing your story and we hope the shine on your chrome gold BMW i8 never fades.